The last year was one of significant refocus for our Office. These shifts—a renewed attention to intelligence and a stronger emphasis on homeland security policy and planning—reflect the rapidly evolving threat environment in New Jersey, as well as across the nation and the world. Since July 2014, we have seen the rise of a terrorist group calling itself the Islamic State of Iraq and Syria; a global Ebola crisis that required a concerted state response spanning multiple agencies and jurisdictions; and the growth of multinational cyber attacks against New Jersey’s municipal and county authorities, as well as its institutions of higher education. To meet these challenges, Governor Christie has given us the support to vastly increased the pace and scale of our intelligence collection and production; hired a cadre of new officers that were deployed across the State to inform local action; and formed the New Jersey Cybersecurity & Communications Integration Cell, the first of its kind in the nation. In the next year, our greatest challenge will be to increase the momentum we have built. I am confident NJOHSP will once again rise to meet these challenges. NJOHSP continues to chair and convene monthly meetings of the Domestic Security Preparedness Task Force (DSPTF). The DSPTF’s role is to develop coordinated plans of action to prepare for, respond to, and recover from acts of terrorism. I also continue to chair the School Security Task Force with the Commissioner of Education. This Task Force is charged with identifying potential breaches of security in New Jersey’s public schools. In March, the Task Force issued a report to the Governor, the State Board of Education, and the Legislature containing recommendations from improving school safety and security. Going forward, whether we are serving customers in the public or private sectors, I want to make these pledges to you: We will do what is necessary. We will do what is hard. And we will always put the safety and security of our citizens, our businesses, and our institutions first. I look forward to discussions on how NJOHSP can best support your needs and ongoing homeland security initiatives. *Organizational reporting in a fiscal year timeframe is considered a best practice in the federal government as well as in the private sector. 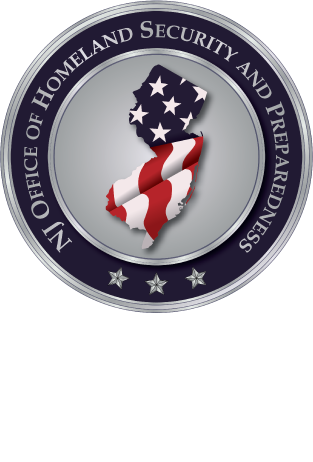 As a result, the Office of Homeland Security and Preparedness (NJOHSP) will henceforth issue its annual report at the end of the fiscal year rather than at the end of the calendar year. Doing so will also allow external stakeholders to more effectively rate the quality and quantity of NJOHSP’s work against its allotted fiscal year budget. To transition from calendar year reporting to fiscal year reporting, the data in this report includes the timeframe January 2014 to June 2014 unless otherwise noted.